JMeter Training Videos cover, Introduction Performance Testing, Performance Test Types like Load Testing, Stress Testing, Spike Testing, Endurance Testing and Data Volume Testing. Performance Test Tools in the Industry, and Performance Test Life Cycle. Installation of JMeter Tool, Start JMeter Tool, Elements of JMeter, Configure JMeter Elements, Create First JMeter Test, Execute the Test and JMeter Test Result Analysis. Create JMeter Tests using different type of Samplers, Timers, Listeners, Assertions, Logical Controllers, Variables, Functions, Regular Expressions, Pre-processors and Post-processors. Create JMeter Web Page Performance Test Plan, JMeter Database Performance Test Plan, JMS Test Plan, FTP Test Plan and JMeter Web Services Test Plan. (Introduction to Performance Testing, Overview of Apache JMeter, Install JMeter, Elements of JMeter Test Plan, Create JMeter Tests, Execute JMeter Tests and Result Analysis. JMeter supported Operating Environments, JMeter supported Protocols, Record JMeter Test Scripts, Create JMeter Web Test Plan, Create JMeter Database Test Plan, Create FTP Test Plan, Create JMeter Web Services Test Plan, and Conduct JMeter distributed Testing. (Introduction to Performance Testing, Types of Performance Testing like Load Testing, Stress Testing, Spike Testing, Endurance Testing and Data Volume Testing. Performance Test Life Cycle, Analyzing Performance Test Requirements, Planning, Record Test Script, Generate Load, Run performance Test, and Analyze Test Reports. (JMeter Installation process, Download & Install Java, Set JAVA_HOME Environment variable, Download and extract JMeter Software and Launch JMeter on Windows operating environment using JMeter batch file in JMeter Folder. 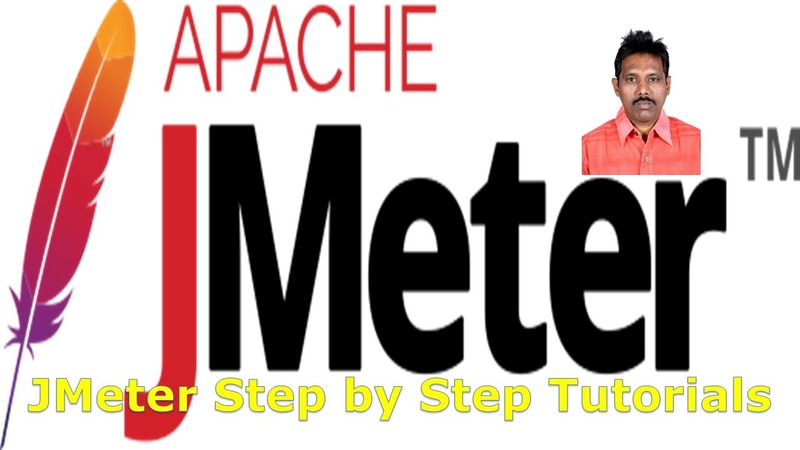 Introduction to Apache JMeter Tool, Performance Test Tools, LoadRunner vs. JMeter, Installation of JMeter on Windows operating environment and Macintosh operating environment. (Elements of Apache JMeter, Test Plan, Thread Group, Controllers, Listeners, Timers, Assertions, Configuration Elements, Pre-Processor Elements, Post-Processor Elements and Execution order of Test Elements. Start / Launch JMeter Tool, Select Test Plan, Add Thread Group, Add Processes, Add Samplers, Add Logic Controllers, Add Listners, Add Timers, Add Assertions, and Save the Test Plan. Create JMeter Web Test Plan, JMeter Database Test Plan, JMS Test Plan, JMeter FTP Test Plan and JMeter Web Services Test Plan. Note: Add Pre & Post Processors, Assertions, Use Variables, Functions, Regular Expressions etc, with respect to Test Requirement.